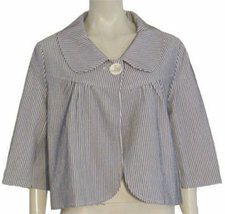 This is a fabulous and fun Fashionista cropped, swing style jacket. 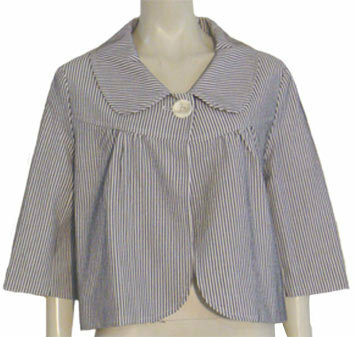 Cotton jacket has a white background and blue stripes. 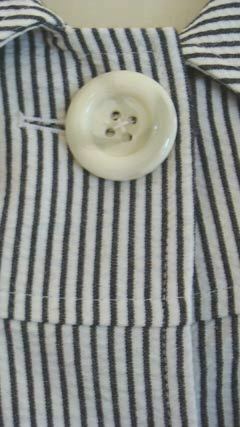 It has a large collar and one big bold button for closure. The stitched down yoke front and back has small gathers that gently fall from it. Bracelet length sleeves have a small bell and it is fully lined in a white luminous poly. Jacket is new without tags. 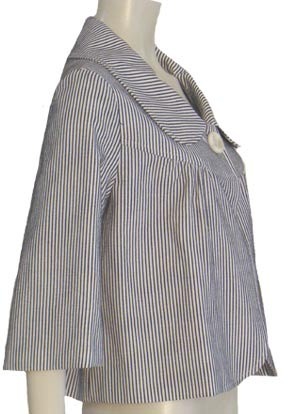 Labeled Fahionista. 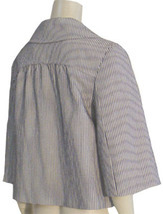 Sized: L Bust: 40" Waist: Full Length: 20.5"